Description: Love is love, and it keeps you warm. Love doesn’t see one’s gender, race, or religion. It simply keeps you warm and safe. I want to put this lesbian couple in a normal setting but in a provocative way. 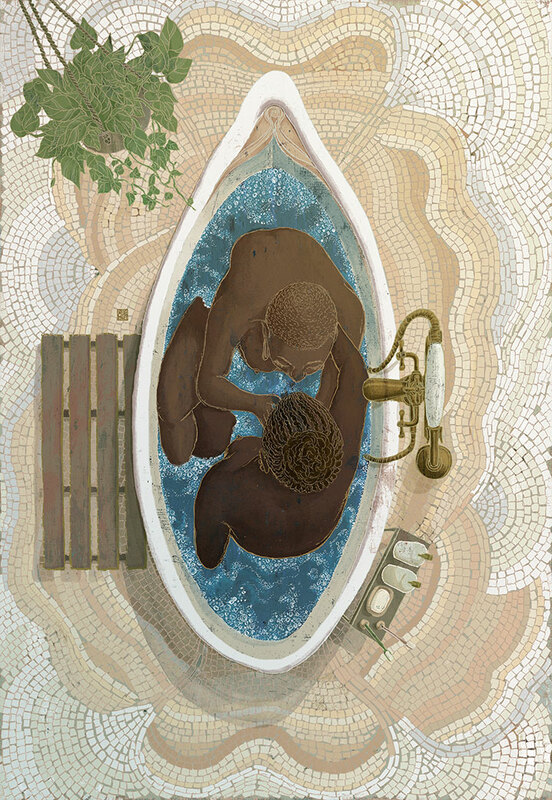 The female part shaped bathtub full of water and the mosaic work, somewhat Georgia O’Keeffe-like, indicates more female part. Colour is light, pastel, and soft… It gives more safe and warm atmosphere in the work.